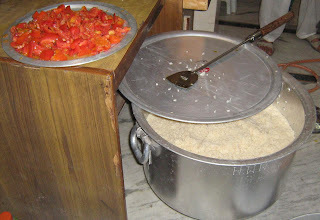 One of the basic requirements that the poor lack quite often, is a hot and nourishing meal. Our students fall in that category often. Most of their families cannot afford three square meals a day. Some times they are forced to go on empty stomach. This would often lead to dropping out and begging, stealing, etc. 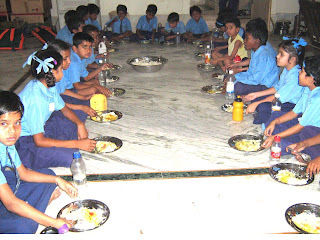 Dunnhumby, one of our corporate partners have helped us to counter this issue by providing for a mid-day meal program. 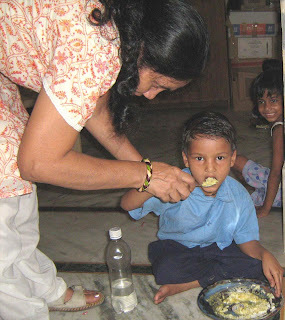 Thanks to them, 260 children at the school now receive a hot and nourishing meal everyday, Monday to Friday. This is practically a source of encouragement for the litlle ones.